French watchmaker Emmanuel Bouchet spent the first part of career in his family jewelry store soon obtaining his Poinçon de Maître and creating pieces of jewelry, repairing rare watches and restoring antique clocks for several French museums. He then moved to Switzerland in 1999 where, collaborating with prestigious watch manufactures, developed and produced major high complications. In 2008 he co-founded Centagora, a consulting company which helps watch manufacturers to innovate. 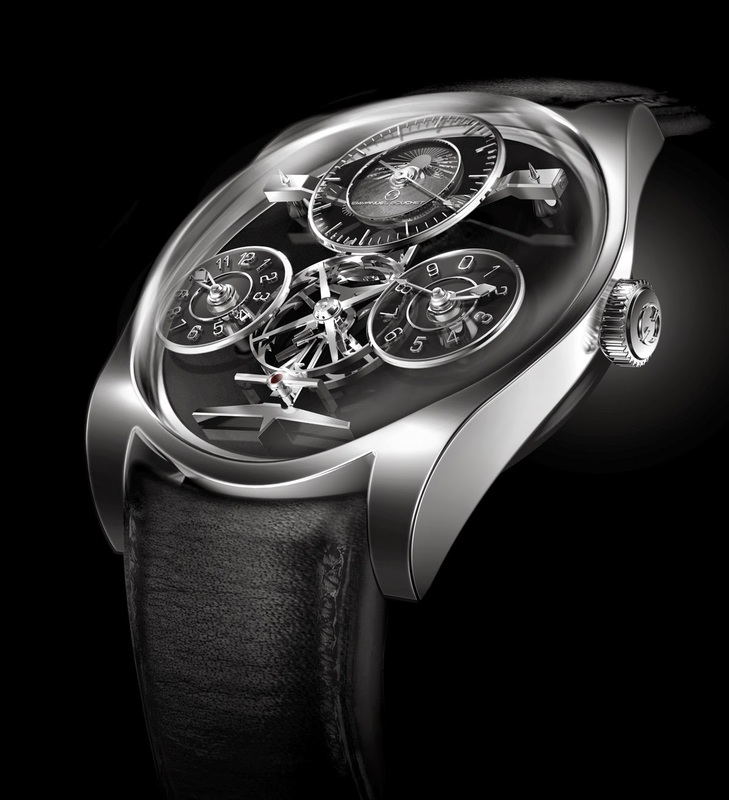 In 2012, his collaboration with Harry Winston produced the remarkable Opus 12 (we wrote about it here). This year Emmanuel Bouchet launches his own brand with the Complication One, a timepiece which puts the key elements of the movement - the escape wheel and the anchor - at the centre of the dial. In doing so, Emmanuel Bouchet pays tribute to traditional watchmaking from one side but breaks conventions by revisiting the design of these components from the other side. The calibre EB-1963 hand-wound movement, composed of 283 parts and entirely made in Switzerland, beats at the slow frequency of 18,000 vibrations per hour, giving the wearer a different experience of time with a slower, more measured pace. 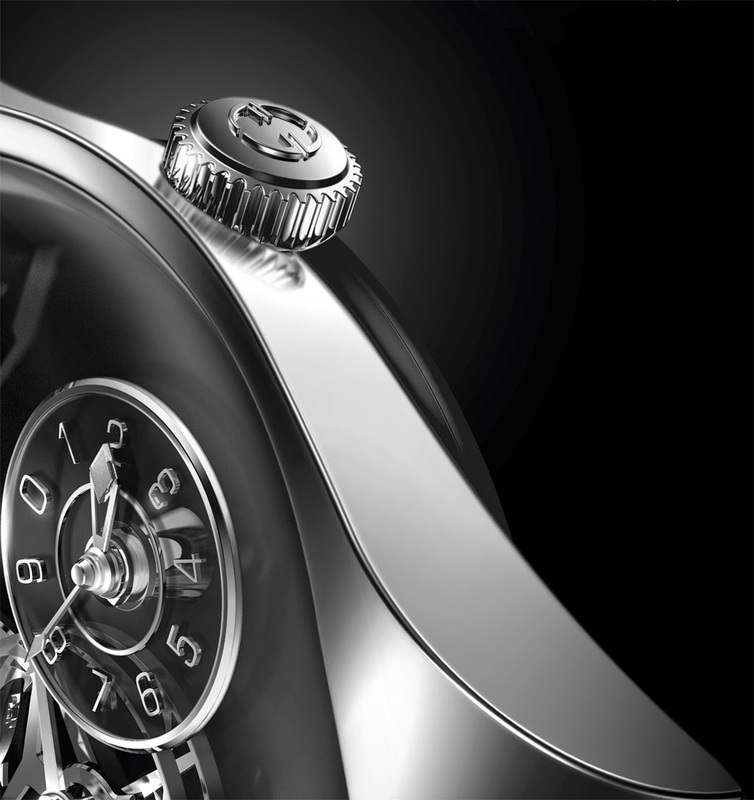 The double barrels, visible through the transparent case back, offer a power reserve of 70 hours. 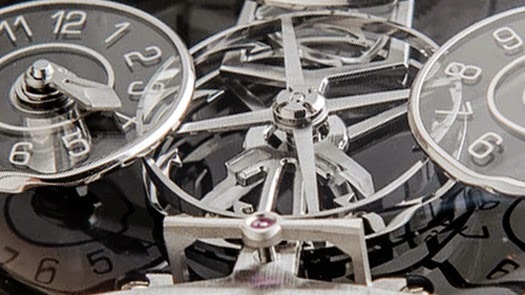 The three-dimensional effect of the dial is enhanced by the reflective onyx base and by the transparent sapphire discs used for the three sub-dials: hours at 8 o’clock, minutes and 10’s of a minutes at 4 o’clock and seconds at 12 o’clock. At 12 o’clock, just underneath the seconds disc, a day-night indicator enriches the dial. The tips of the hour and 10’s of a minutes hands are finished with sanded sapphire to enhance the legibility. Presented in a polished white gold case, the Emmanuel Bouchet Complication One has a diameter of 44 mm with a thickness of 11.20 mm including the curved sapphire crystal. The model will also be available in rose gold, yellow gold, platinum and ADLC-treated titanium. Emmanuel Bouchet Complication One. 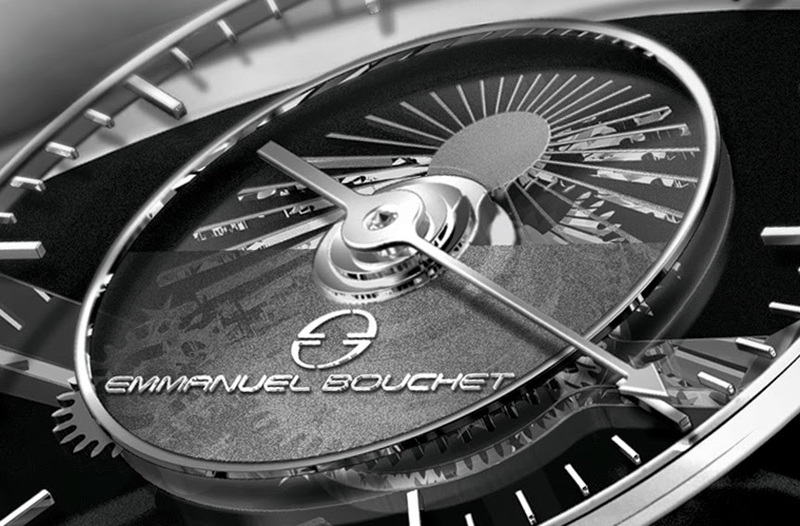 French watchmaker Emmanuel Bouchet spent the first part of career in his family jewelry store. In 2008 he co-founded Centagora, a consulting company which helps watch manufacturers to innovate. 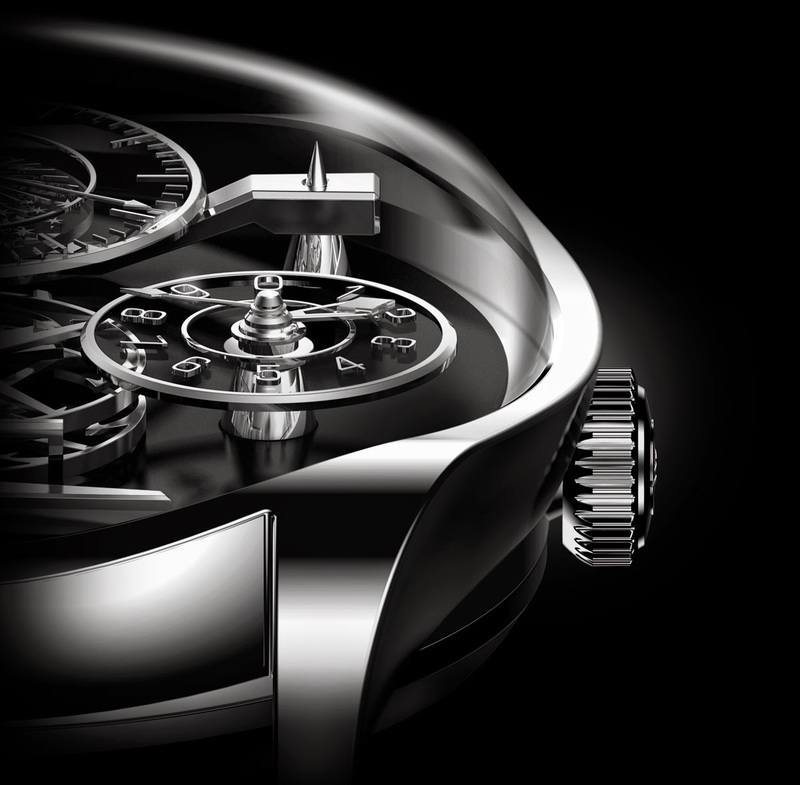 In 2012, his collaboration with Harry Winston produced the remarkable Opus 12. This year Emmanuel Bouchet launches his own brand with the Complication One. 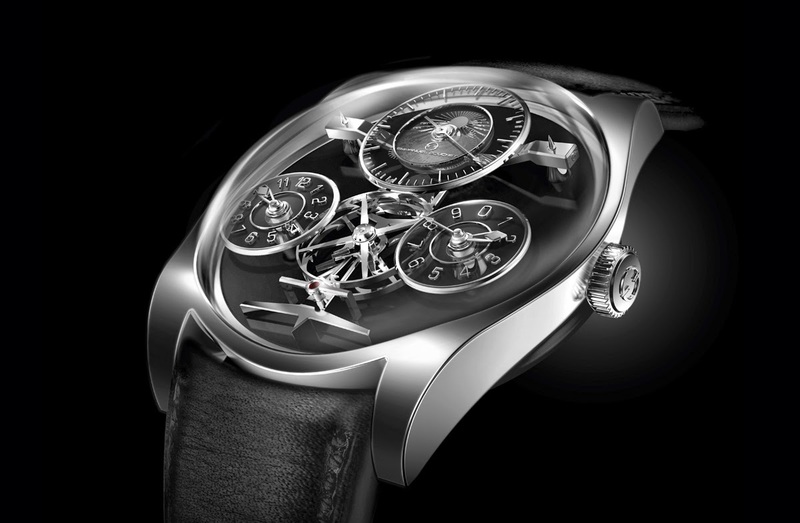 The Emmanuel Bouchet Complication One has a price of Swiss Francs 92,000 / Euro 76,000 / US$ 95,000.